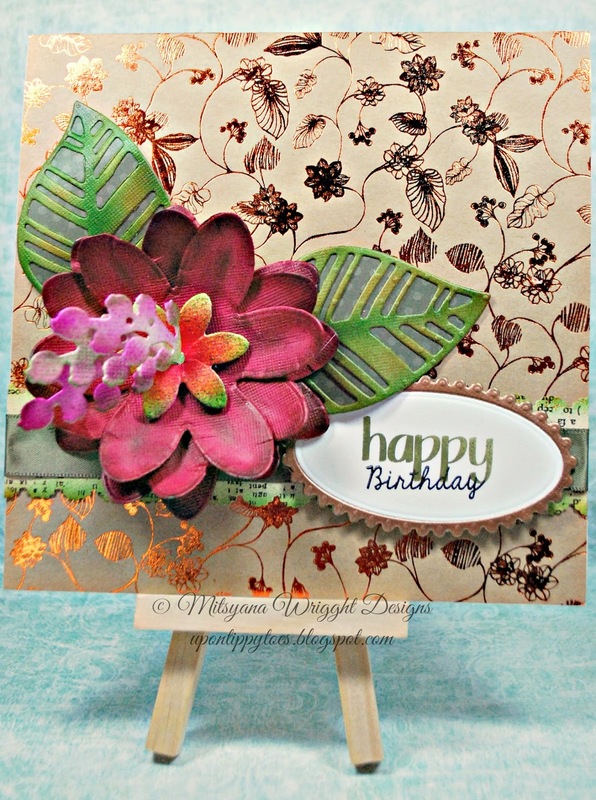 Oh what a beautiful card, as a mother I would love to receive one of these! Mitsyana is such a talented lady. Her ebrush sings along all day with many a creative project! Hello Again Crafty Friends... Today I wanted to share with you all a card I made for one of the most important women in my life. My mom. For me a store bought card just won't do. For someone as special as she is, I needed to pour lots of love into it... it needed to come straight from my heart. With my cut'n'boss. and my Teresa Collins pocket dies I cut out my shapes in red, green, light pink, and white card stock. A great thing about using this machine is the huge platform. I can cut a lot of dies all at once. 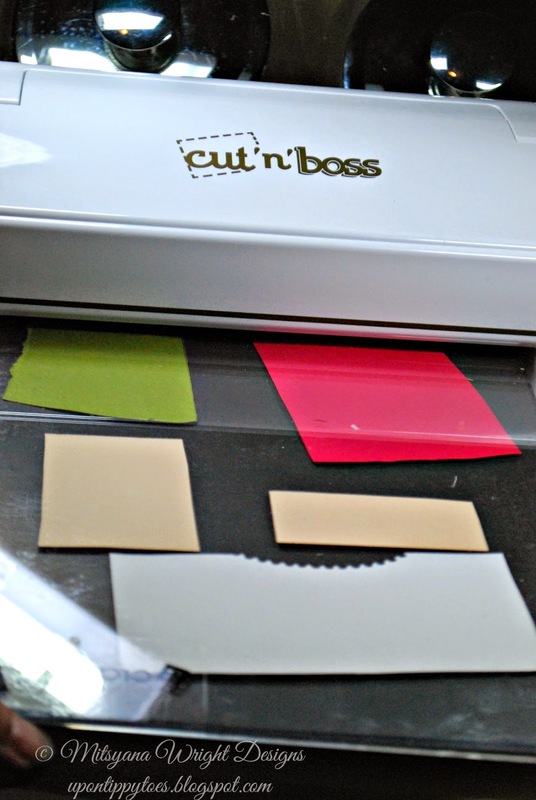 And, with the cut'n'boss' strong motor and gears cutting through several layers at once is a breeze. 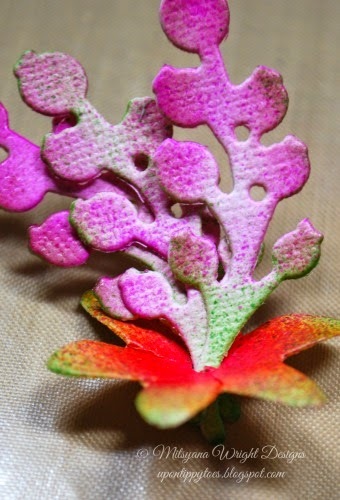 For my flower I cut 4 red flowers, 2 green leaves, 1 small light pink flower, and 3 twig & berries ( I used them for stamens). 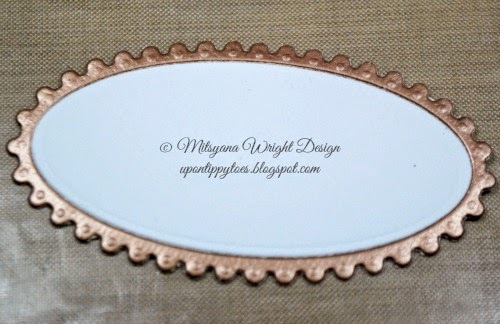 I also cut the scalloped oval out 2 times (1 copper for the frame and i white for the center label). Then I adhered them onto a separate piece of cardstock to make one solid piece. 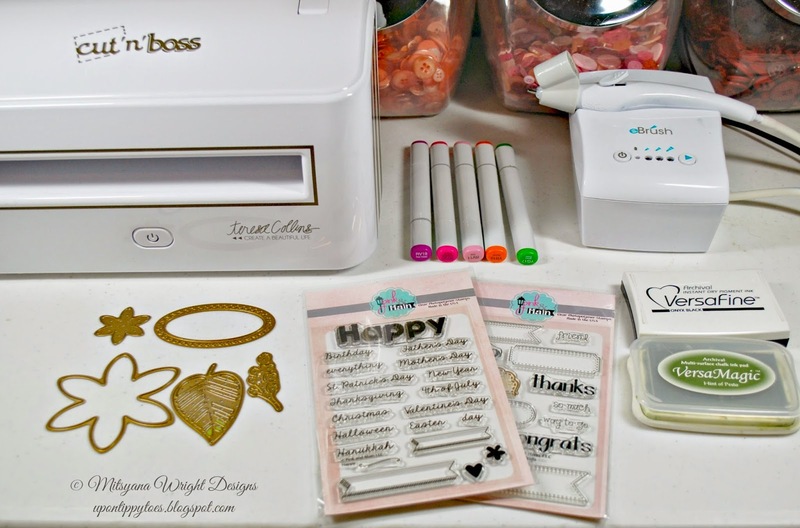 I stamped my Happy Birthday phrase using two stamp sets from Pink and Main called "Stitched Greetings"( for the word happy, in Versa Magic - Hint of Pesto) and"Happy"( for the word Birthday, in Versafne - Onyx Black) . 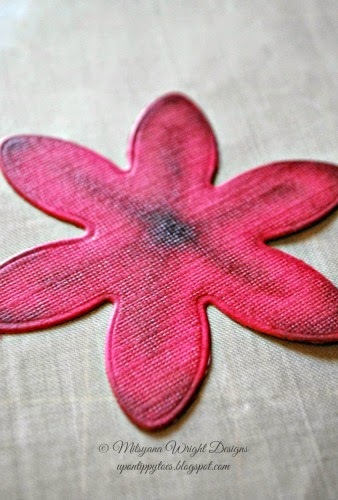 For my flower, first, I ebrushed all my red flowers with a star pattern with Copic markers RV19 and YG17. I curled the end of my petals up, hot glued all flowers together alternating the pedals. For the center of the flower I ebrushed the smaller flower in Copic Markers RV25, YR16, and YG17. I then I punched a hole in the center of the flower and set aside.The stamens I ebrushed in RV11, RV25, RV19 andYG17. 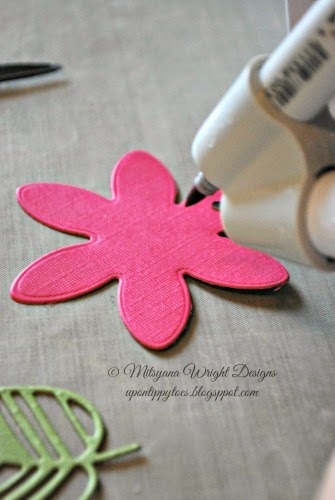 I inserted my stamens into the center hole and secured them in place by hot gluing the stem from the bottom the flower. 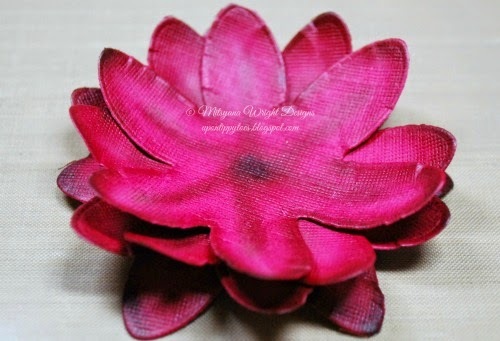 I then hot glued this piece to the stack of red flowers. 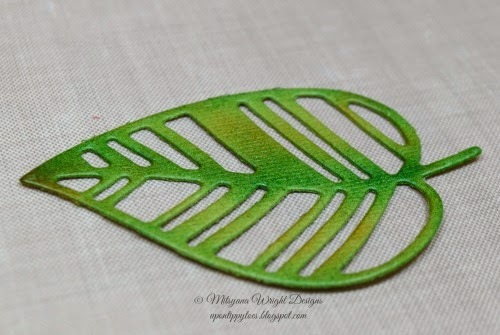 For the leaves I ebrushed them with Copic Markers YG17 & YR16. 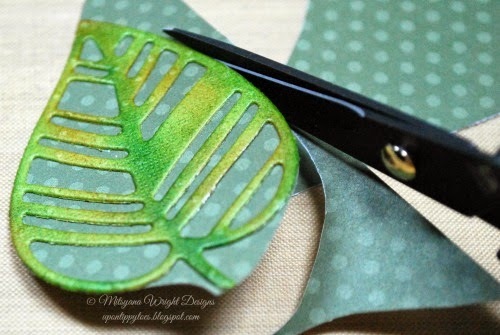 Backed it by gluing to a piece of dark green cardstock and cut out by hand with my scissors. 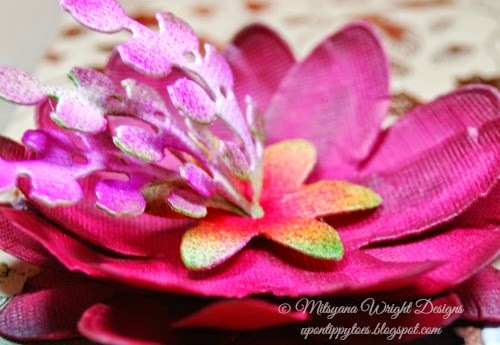 I hot glued the leave to the under part of the flower. The card front was made with a 6"x6" piece of foiled cardstock and a 1 1/4" strip of patterned cardstock that I punched with my EK success border punch and ebrushed with Copic YG17. I then wrapped with a piece of 7/8" olive green satin ribbon and attached my scalloped label with foam adhesive for dimension. 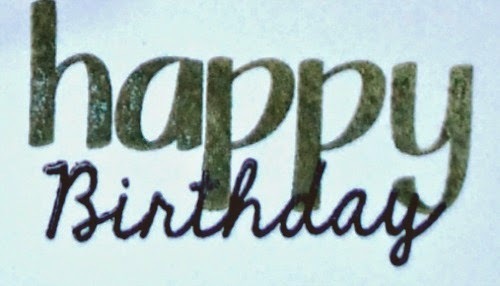 Then, I adhere this card front to a 6"x6"plain white card base I made by folding a 12"x6" piece in half. This took a little bit of time to put together but was quite easy to do. Ebrushing all my pieces instead of shading them cut my work time down by more than half. I love this machine! 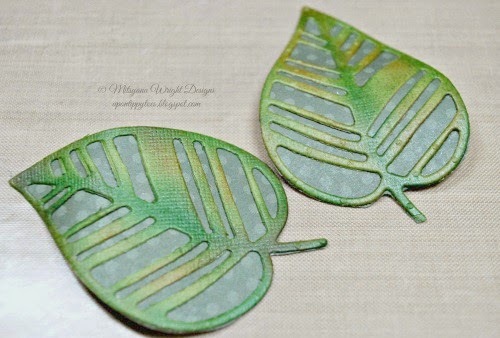 I hope this project has inspired you and thanks for stopping by! 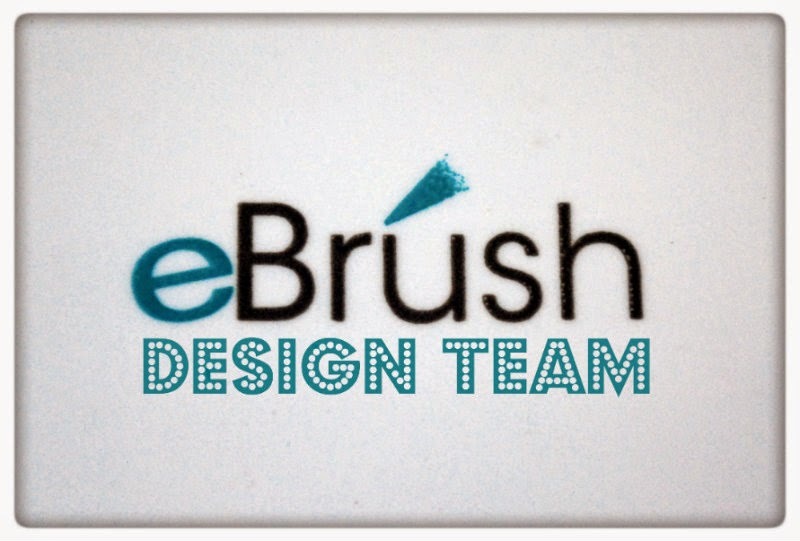 Don't forget to join Facebook Group , eBrush by Craftwell for more eBrushing fun. 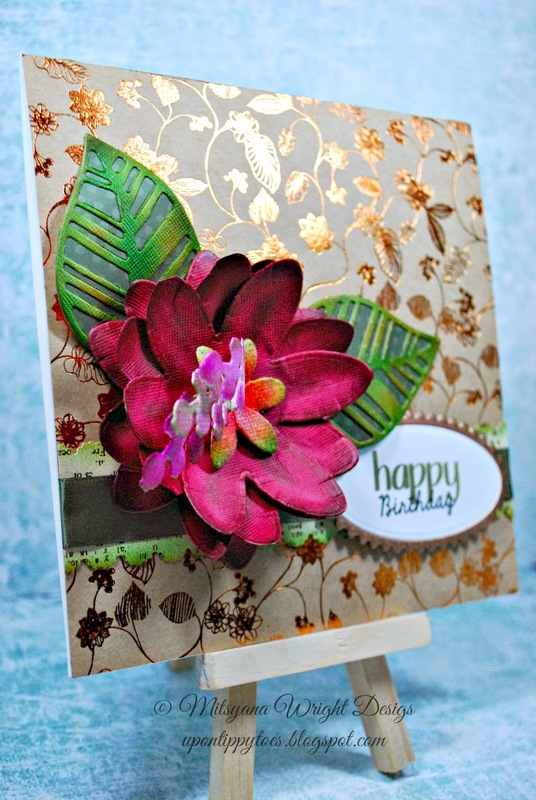 This card is so darling Mitsy! Love it, the cut out flowers are gorgeous! Thank you Alexia! 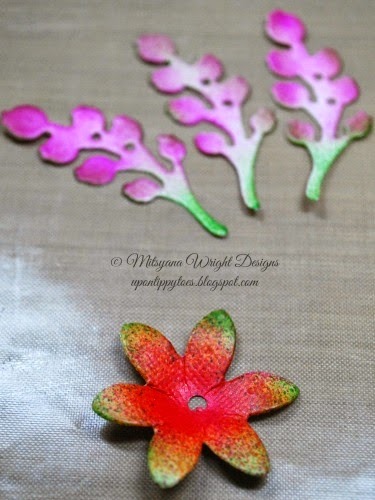 I really love incorporating flowers in my projects, especially if they are 3D! I love this card so much!